Join area fractivists as we travel to D.C. on Sunday February 17th. On Presidents’ Weekend, we will show President Obama that we “have his back” and expect him to take bold action to address the crisis of climate change, an urgency about which he spoke eloquently in his inaugural speech. Event organizers hope to draw thousands of people so the world can see that the American people do not want to go over the climate cliff. If other nations can draw tens of thousands and compose a musical rally cry, why can’t we? 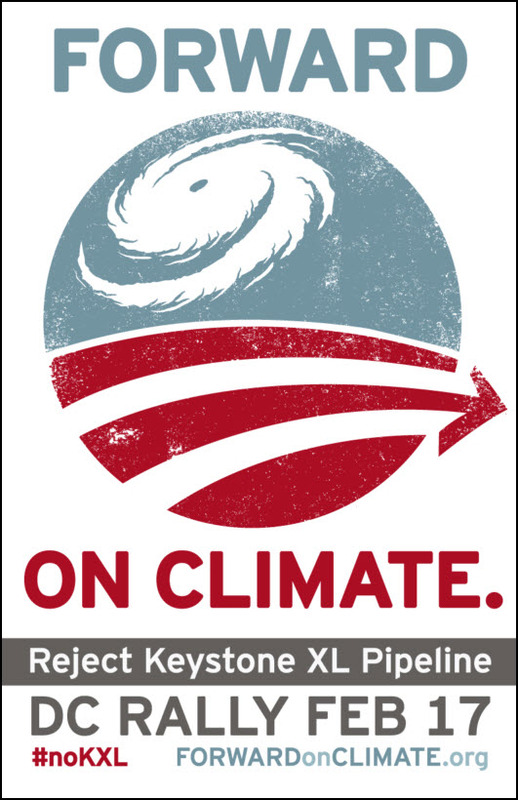 President Obama can begin to help heal the planet and stage an “intervention” of our oil addiction by nixing the Keystone XL pipeline, an artery which would carry that most egregious violation of our planet’s health, the tar sands bitumen which comes from destroying the pristine Boreal Forest in Alberta, Canada. Join United for Action, 350.org (and its fearless leader Bill McKibben), Sierra Club, and hundreds of other groups to lend Obama the courage of OUR conviction. A COURSE CORRECTION on CLIMATE is NECESSARY NOW. Let the organizers know to expect you here. We hope to see you there!